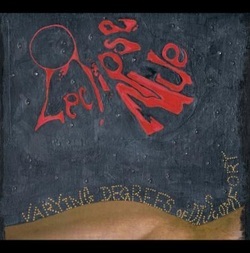 This is the debut full-length album from L'eclipse Nue. A departure from the first L'eclipse Nue EP, on this release LN goes completely electronic. Performed, recorded and mixed by L'eclipse Nue at Golden Child, Ochiai, Tokyo, in 2010. Mastered by Illicit Tsuboi at RDS, Toritsu-Daigaku, Tokyo.